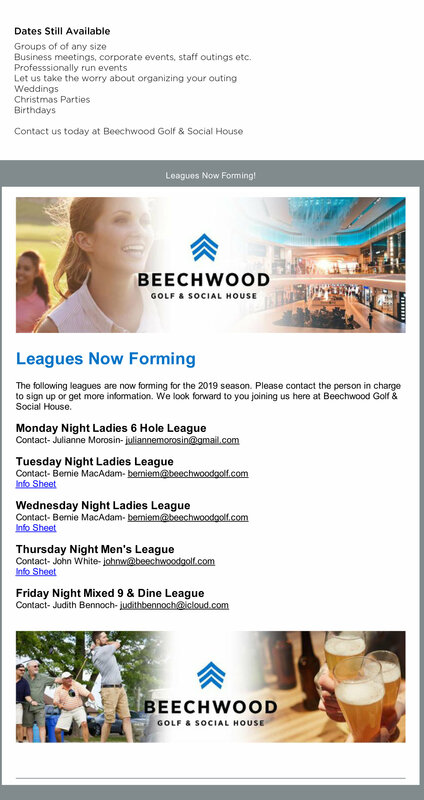 Beechwood Golf & Social House- 2019 Golf Leagues! The 2019 Golf Season is upon us, Beechwood Golf & Social House is now open! Please view the below for Golf Leagues that are now forming! For more information about Beechwood Golf please visit http://www.beechwoodgolf.com/ or call 905-680-4653.